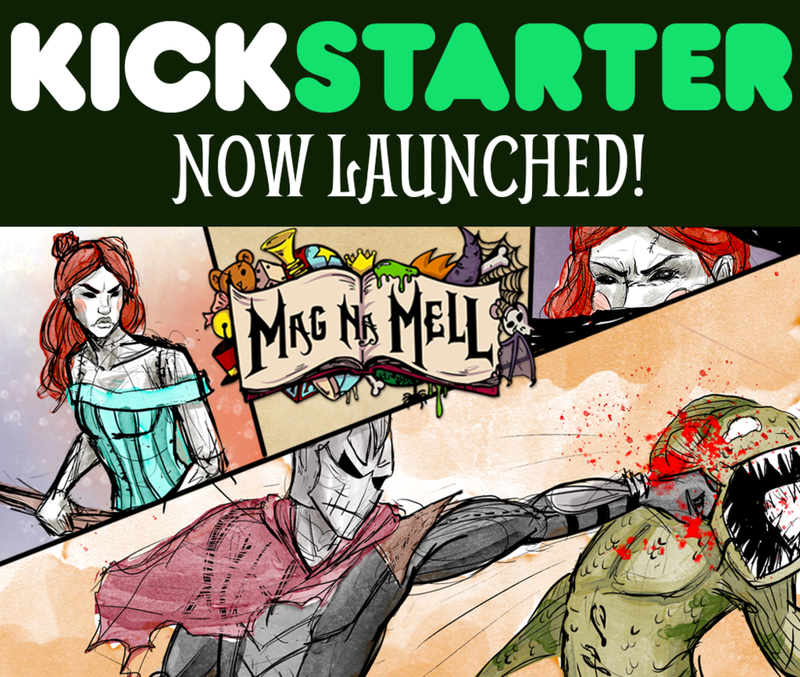 As part of my graduate thesis I collaborated with a peer to create Mag Na Mell, an IP that includes a weekly updating comic, a tabletop game, and a mobile game set within the same world. 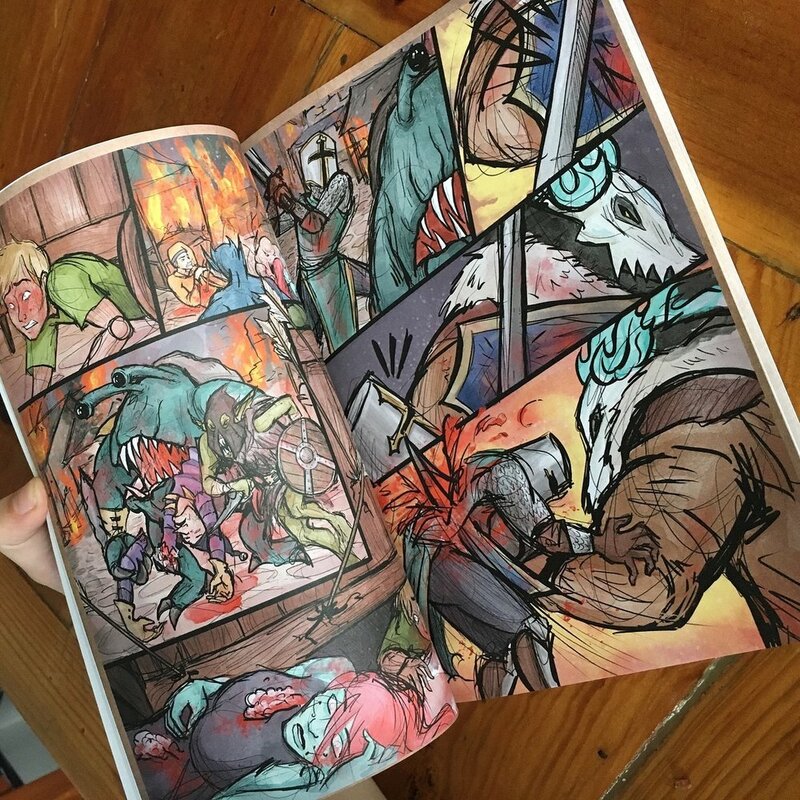 We created a gallery exposition to showcase the work that we did during our time in our MFA program but the project has continued forward thanks to a successful Kickstarter campaign to print the first volume of the comic as a trade paperback. I continue to update a new page of the comic to MagNaMell.com every Monday, and we plan on continuing to build this project for many years to come. I draw the comic, as well as create all the surrounding design assets needed for social media, our website, advertising, and the book itself, as well as managing the associated social media accounts. 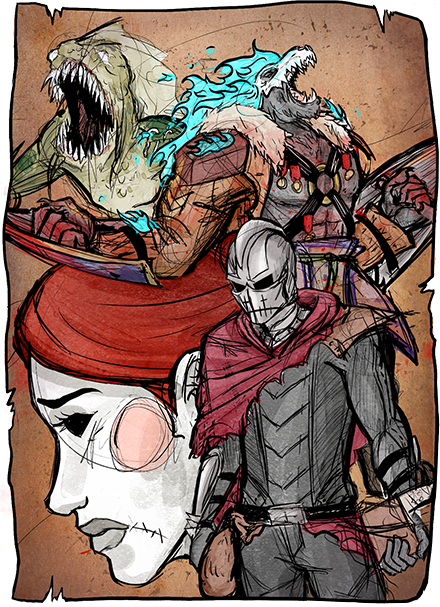 While the first 82 pages of the comic itself is now available in print form, I still update the website every Monday with a new page. Mag Na Mell: Skirmish is a tabletop game also still in development for which I have designed the character cards, rulebooks, and general aesthetic. 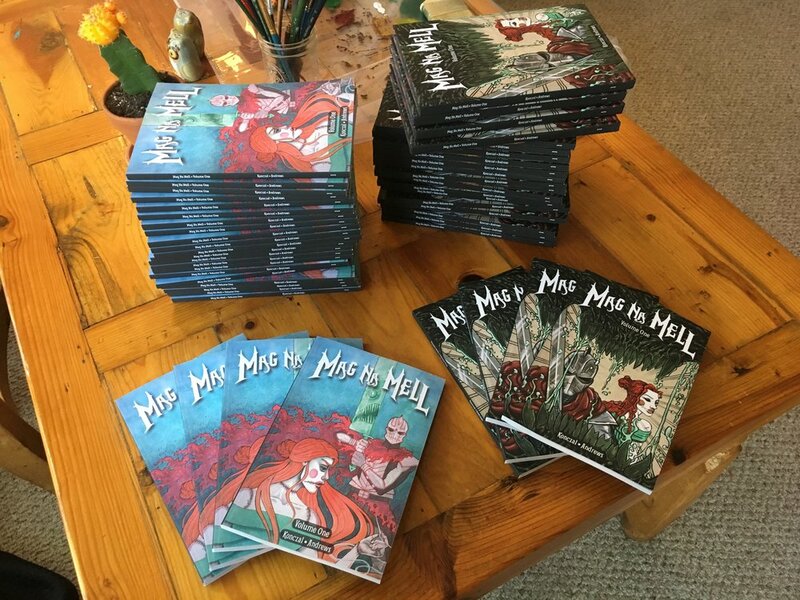 In May of 2017 we decided to run a Kickstarter to print a first volume of Mag Na Mell as a trade paperback. We sucessed and the the book is now avaible in print though our online shop and local stores. Tower of Gaia is a mobile game still in development, but above you can see some of the screens and menus that I designed with an eye to keeping the aesthetic of Mag Na Mell as unified as possible.